Dr. Brian Moore is a radiologist from La Mesa, California. He has been practicing medicine for 29 years. He graduated from the University of California San Diego School of Medicine in 1988 and continued with an internship at the Legacy Emmanuel Hospital & Medical Center followed by a residency in radiology at University of California San Diego. Dr. Moore is a board-certified specialist in diagnostic radiology and vascular & interventional radiology. He received the Checkbook Top Doctor recognition. 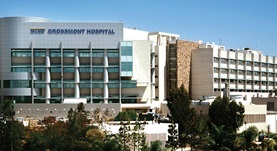 At the moment, Dr. Brian Moore is affiliated with the Sharp Grossmont Hospital.